Savvy Saving Couple proves that hearty can be healthy when you combine Shrimp Scampi with the perfect amount of garlic and olive oil. Brush your flatbread with olive oil and sprinkle with minced garlic; toast for 3 mins in the oven, remove. 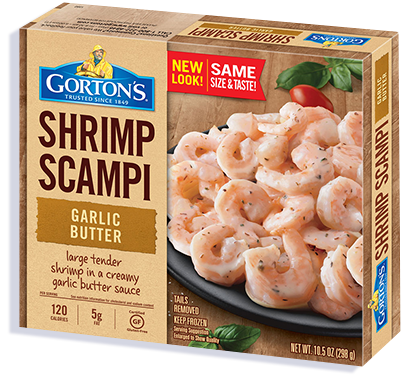 In a small skillet, prepare Gorton’s Shrimp Scampi according to the instructions. Remove from heat once it is done. 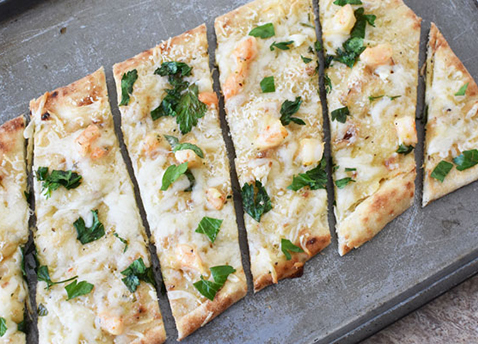 Brush extra scampi sauce over flatbread. Chop shrimp into smaller pieces, and sprinkle onto flatbread. Sprinkle on even parts of cheese. Top with parsley; you can reserve a little for after baking if you’d like. Bake for 5 minutes or until cheese is fully melted.